Our number one goal is to ensure our software actually leads to cost and revenue savings for your healthcare practice. And for potential clients, we understand the need to know that the services we offer will bring you those savings. Please feel free to review the case information below to help you in making your decision to partner with Camtiva. ChargeVu has been instrumental in identifying and correcting billing errors prior to claim submission which improves our patient satisfaction, streamlines our revenue cycle processes, and enhances our bottom line. Camtiva's ChargeVu scrubs claims in a matter of seconds every day that would take many clinicians hours to accomplish. Camtiva has been a great partner for the hospitals in our network, and they are already seeing significant results. Camtiva's willingness to work with us as a cooperative to provide better pricing for our rural healthcare facilities has been gratefully received - and their ability to find missed revenue during a time when small hospitals are fighting to stay in business is an immense relief. We have been using Camtiva's ChargeVu Software for about a year and have to say that it has transformed the way we do business. Real time charge capture provides us with critical insight into our billing operations which allows us to make fast decisions and ultimately become more dynamic and competitive in healthcare by reducing our admin costs and chasing debts. The flexibility to customize the program to our facility has allowed us to reduce billing errors and improve efficiencies. All this adds up to a very comprehensive system that we use on a daily basis. I am happy to see continued improvements and new features in the system and recommend Camtiva's ChargeVu tool to my contacts. Our clients have found significant savings, both in time and revenue, by using the ChargeVu's charge capture online solution. Coupled with a claim scrubbing tool, hospitals have found their overall claim denials decrease, and their turnaround time accelerate. Take a look at some of our reviews of the ChargeVu software to see how it can dramatically affect your hospital's bottom-line and compliance initiatives. Bear Lake Memorial implemented Camtiva’s ChargeVu software to attempt to capture and reduce the number of missed or incorrect charges on their claims before submitting them to their insurance payors. As a county owned critical access hospital, they feel a strong duty to provide accuracy for their patrons – as well as a need to stay viable so they can provide much needed healthcare resources for their community. The results of the implementation included significant charge and personnel savings, increased compliance, and more effective hospital billing processes. Based in the southeast corner of Idaho's farming country, Caribou enjoys the benefit of a loyal, community based patronage. In the same predicament as most small rural hospitals, they find it necessary to capture every dollar possible to keep their facility viable - so they can continue to serve their county and surrounding area. Incorporating the ChargeVu software has resulted in a significant increase in revenue accuracy and compliance. We understand that sound evidence of a product's viability is key to your decision process. Hence, we have collected data on the following key indicators to highlight some of the success our clients are experiencing. 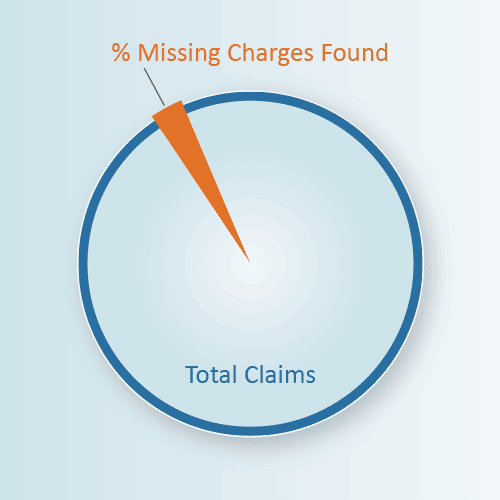 To date, customers using ChargeVu for their claim scrubbing needs have found, on average, that approximately 2% of their claims have missing or invalid charges that their claim scrubbing tools aren't catching. For a $25 million small rural hospital, that could be up to $500,000 in charges captured that otherwise would have been lost. For a $200 million client, that charge capture could be up to $4 million. One of the "out-of-the-gate" advantages of the ChargeVu software is it's ability to look at the past 12 months and determine if you have any charges missed that can be submitted for reimbursement. Typically, within just a few hours our clients are able to find claimable missed revenue that exceeds the cost of the ChargeVu subscription. 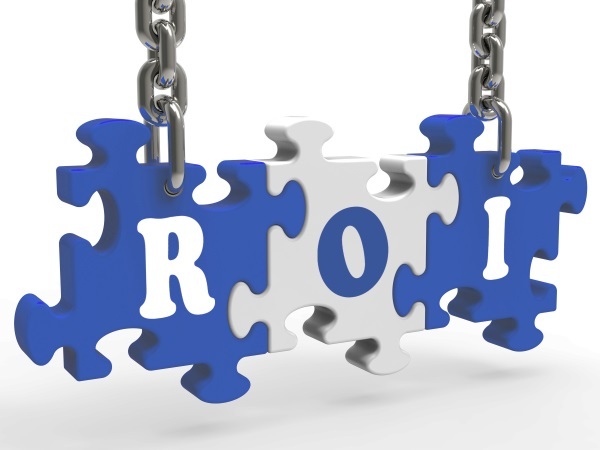 When it comes to ROI, it is difficult to find a purchase more easily justified. In fact, every day you postpone using ChargeVu, is just another day you can't reclaim past lost income.